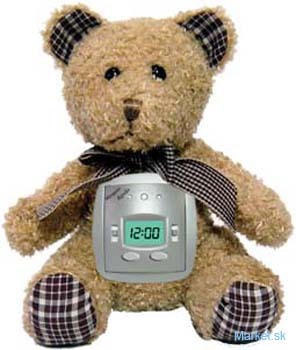 This surveillance system is well hidden inside a Teddy bear with a built-in transmitter. The camera and transmitter are invisible to the human eye. This covert system can be applied to almost any ambience. 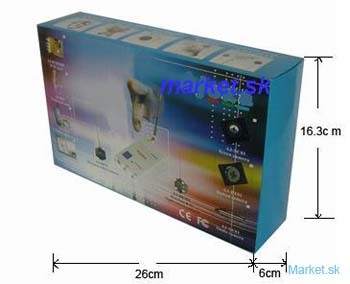 This model is battery operated or with power supply. The camera is very easy to operated and no installation is required. To operate you just plug and play. 1). One 1.2GHz wireless color camera with audio inside the teddy bear. 2). One multi-channel perfectly matched audio & video receiver; 3). One 9Volt 200mA DC AC Adapter; 4). One 12Volt 500mA/1.25A DC AC Adapter; 5). One 9Volt Battery Clip; 6). One RCA cable for receiver to VCR/TV hook up. Everything is ready for use, just plug and play.